Each of the four traction systems in the 2014 Cherokee has a place in purpose. Commuters with only occasional need for more traction will be fine with front-wheel drive; for the trailblazers, nothing less than the Trailhawk will do. The 2014 Jeep Cherokee plants a foot in both the crossover and SUV world--and only flubs the styling. The Jeep Cherokee is back for the 2014 model year, but it's nothing like the squared-off, bare-bones SUV that exited the market back in 2001. This time around, Chrysler is putting one of the best-known nameplates in the world to better use: it's beefing up its crossover game with a vehicle that can really bridge the on- and off-road worlds. A good trail blazer and a very capable street performer, the Cherokee may be the first compact SUV to do both equally well. After a decade on hiatus, the Cherokee is back for 2014, and now that we've driven it, we're admittedly more impressed than we thought we would be. It's a turducken of a crossover, a city-friendly crossover stuffed with the heart of a Trail Rated Jeep. From the inside out, it does a convincing job of delivering Jeep essentials--ruggedness and a general zest for things outdoorsy. It even delivers a lot more of the things that drove some Jeep fans outside the home to places like Sportage and Santa Fe. It doesn't do so with the greatest of ease with its sheetmetal, though, where it flutters between brain-fighting experimentation and duller design by default. This Liberty replacement, Dart derivative, Compass mea culpa wants to define a new era in SUV design, but gives up about a fifth of the way through. The front end splits its headlamps and underplays the grille--the one design detail that connotes Jeep no matter where it's seen, around the world. Those are unforgivable but reworkable flaws. The rest of the body? It's warmed-over leftovers, with heavy reliance on crossover fallbacks in glass area and fender sculpting, rehashed Hyundai. The cabin does paramedic duty here, healing up all that poorly thought-out stretching with some palliative shapes and some truly nice finishes and Easter-egg touches (seriously, it's a Where's Waldo? of hidden Jeeps inside). Jeep calls the new Cherokee a mid-sizer, however it’s really sized quite closely with compact crossovers like the Honda CR-V, Subaru Forester, Ford Escape, and Toyota RAV4—at about 182 inches long, with a wheelbase of about 106.3 inches, it's only a few inches longer than those models, much smaller than a Chevrolet Equinox. There’s no third-row seat, but this is a roomy five-seater, with a back seat that’s suitable for adults—or even asking three to sit across for shorter distances--but the jutting front headrests might enforce a slouching position that robs some of that rear-seat space. The second row slides fore and aft to choose between legroom and cargo space, and there’s a handy organizer for the more retentive fans. While several models in this class have gone all-four-cylinder, the Cherokee offers a choice between a four-cylinder or a V-6. The standard 2.4-liter in-line four turns in a well-adjusted 184 horsepower and 171 pound-feet of torque; it's plenty so long as there's less weight aboard, and it's plenty smooth and preternaturally quiet, given its world-engine roots. A new 3.2-liter V-6 makes 271 hp and 239 lb-ft of torque; it's torquey and generally happy with whatever work you throw its way. 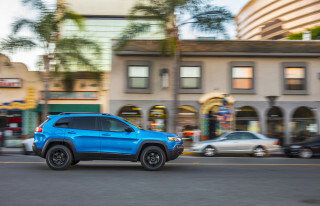 The Cherokee also sports a new ZF nine-speed automatic, with a lower first gear for quick takeoffs, a handful of mid-range gears, and a trio of tall overdrive upper gears for good highway mileage. The top figure of 31 mpg highway still isn't stellar for the class, but it's good; the powerful 4WD versions post combined numbers in the low-20-mpg range. With the V-6 and a Trailer Tow Package, the Cherokee can pull 4,500 pounds. No matter which version, the Cherokee has fairly numb but accurate steering, with a well-tuned and well-damped ride. The 2014 Jeep Cherokee will be offered in Sport, Latitude, Limited, and Trailhawk editions, with Jeep's Trail-Rated badge applying to the Trailhawk, which gets a one-inch lift, unique front and rear fascias, an Active Drive Lock and locking rear differential, added skid plates, and red tow hooks. As with other Jeep models, there are several different four-wheel drive systems, including Active Drive I, and Active Drive II (adding a dual-range transfer case). All models with 4WD have the Selec-Terrain system, with separate ’smart’ modes for Snow, Sport, Sand/Mud, and Rock, and in low-range models with four-cylinder engines, its crawl ratio is an astonishingly good 56:1, which Jeep says is 90 percent better than that of the Liberty. Crash-test scores earn the Cherokee four stars from the NHTSA, and a Top Safety Pick award from the IIHS. Adaptive Cruise Control-Plus is available, for the first time in any Chrysler or Jeep vehicle. The system can bring the vehicle to a complete stop; meanwhile, a Forward Collision Warning-Plus system will help prime the braking system, warn audibly and visually, and even deploy Advanced Brake Assist to quicken braking times. Another first in the Cherokee is the ParkSense Parallel/Perpendicular Park Assist feature, which will steer the vehicle into a driver-designated space. Blind-spot monitoring, Lane Departure Warning-Plus, and Rear Cross Path detection are also on offer, as is a rearview camera. 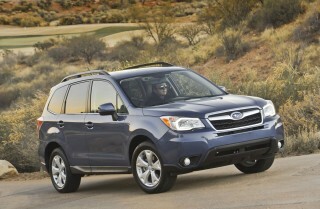 Electronic stability control is standard, along with ten airbags. Highlights from the features list include a CommandView panoramic sunroof and Sky Slider roof, with memory heated/ventilated seats, and infotainment systems include 8.4-inch Uconnect media center, plus Uconnect Access via Mobile; top models include a full-color reconfigurable LED instrument cluster. 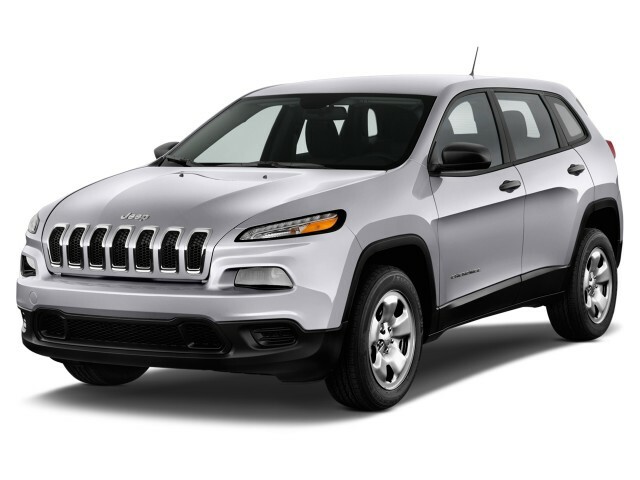 The 2014 Cherokee is priced from $23,990 for a base Sport with front-wheel drive; the V-6 Trailhawk is priced from $30,990. The Cherokee's cabin is smartly penned, but the sheetmetal is among the more quirky designs on the road today. It's too bad Jeep fans can't experience the Cherokee with a blindfold first. It's unexpected, awe-inducing actually--and not in a great way. The novelty of a non-rectilinear shape is a direct challenge to time-honored, square-jawed Jeep tradition. It actually brings down the driving experience, if only for a little while. We'll give the 2014 Cherokee begrudging respect for trying something new, to a point. 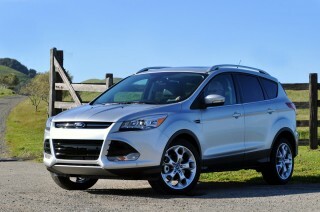 We're ready for the next look of SUVs, but here, the controversial look feels incomplete. It feels like a redux of the Compass, which blurred its lines not in the wrong ways, but in unfinished, unconvincing ones. From that nose on back, the Cherokee doesn't even have the convictions of its argument. This is not a Cherokee from the past--so why does it so strongly resemble a Hyundai Santa Fe from the side, or a Kia Sorento from the rear? It's washed clean of all the rectangles, but doesn't have anything new to show in those softened contours. Here's the roundabout point: if you're going to go all-in on a new shape, go all in. The sheetmetal divides but doesn't conquer. The Cherokee's cabin, in contrast, does a Genghis Khan job on Jeep's old demons, just like today's Grand Cherokee did on the last one. It's sporty, not at all trucklike, and finished in fine fashion. Jeep says the interior shapes are influenced by birds of prey, with a fluid feel. That heady ode-to-nature stuff seems funny to us, since the Cherokee's cabin is wrapped up as tightly in petroleum derivatives as our retirement accounts. But they're good derivatives--even the Dart doesn't have as much of the nice stuff that sits on the Cherokee's stitched dash cap, the console cover, or even its steering wheel. It's a handsome look tipped into several color schemes named for--you guessed it--places like Iceland and Mount Kilimanjaro and Morocco. (We would call them "grey" and "brown" and "gold".) The SUV theming is far from humorless, thank goodness. Jeep designers have penned in some great Easter eggs, like the 1941 Jeep Willys you'll find when letting the Cherokee park itself, or like the small but perfectly formed Jeep that rests at the base of the windshield, climbing over a sensor like it's a Moab boulder. You'll be happier inside looking out, than most Jeep traditionalists will be, outside, looking in. Front-drive, four-cylinder Cherokees are tall economy hatchbacks; V-6 Trailhawks are formidable off-road machines. The 2014 Jeep Cherokee drives with the even-handed aplomb of a Santa Fe Sport, sometimes stuffed with a Trail Rated off-roader. 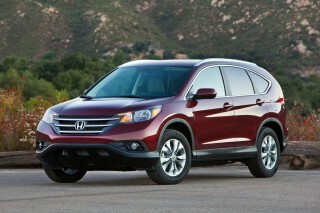 That makes it a crossover-SUV in the truest sense. We've driven all the drivetrain combinations offered with the new Cherokee, and admire the performance range that can be dialed into its lunar-rover body with the right ticks on the options box. 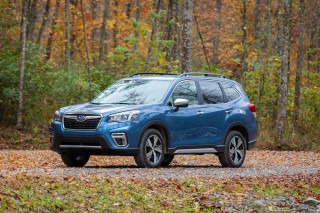 With a four-cylinder engine and front-wheel drive, it's a tall, economical hatchback; with the six-cylinder and Active Lock off-road system, it's a nimble rock climber. The choice of engines doesn't have to be a vexing one: for a change at this end of the Chrysler lineup, they're both pretty good. The standard engine is a 2.4-liter in-line four rated at 184 horsepower and 171 pound-feet of torque. It's reasonably powerful, with a 0-60 mph time of about eight seconds in base trim. It's also, easily, the best-sounding Chrysler four-cylinder in a long time. The energetic nudge it gives to front-drive Cherokees isn't accompanied by the usual rasp and noise, just some mild exhaust drone. It's eerily vibration-free. 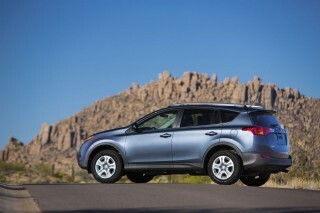 It's also capable of a 31-mpg EPA highway rating, though 25 mpg combined sounds a lot more reasonable in everyday use. Most of the crossovers in the compact class have gone four-cylinder-only; the 2014 Jeep Cherokee still offers a big six, a downsized version of the Chrysler six that's also in the Grand Cherokee. The 3.2-liter V-6 here makes a very strong 271 hp and 239 lb-ft of torque. We'd peg the front-drive V-6 Cherokee at a 0-60 mph time of about 6.5 seconds--it's a fairly heavy vehicle, somewhere between 3,700 and 4,100 pounds--and we'd gauge the V-6's responses as quick and unobjectionable, in the engine-noise department. All Cherokees, four- or six-cylinder, come with a new ZF nine-speed automatic transmission, with a very low take-off gear and a few very tall overdrive gears for fuel-economy concerns. It's a gearbox that really wants paddle actuation, though we'd settle simply for more direct control over some shifts. Chrysler says there are more than 40 shift programs to be chosen--but the Cherokee lacks the most important one, the one we pick. Choose "D" and the nine-speed rifles through the launch gear and a handful of usable driving gears before it races for those gas-mileage ratios--and once it's there, it's loathe to go back. There's no true manual-shift mode: you can change gears with the lever, and it will display a number for your selection, but the nine-speed's shift logic is the decider. It will pick a gear based on fuel economy and yaw state and throttle position, even though it still will display the gear you actually want. By the way, you'll want to be in the Sport mode when it's available on the Cherokee you're driving-- all the time, just to get the quickest shifts. That likely will negate the fuel-economy gains the nine-speed brings. The Cherokee's ride and handling are a pleasant surprise. We were prepared to feel underwhelmed, based on the relative lack of rebound control on the Dart sedan's suspension bits, but the Cherokee has much better composure. That starts with its flavor of electric power steering: it has a dual-pinion rack that delivers no feedback and somewhat heavy weighting, but good accuracy despite its off-road intentions and all-season tires. The Cherokee rides very well in most versions, with smooth damping over most urban streets and even into some unpaved ruts where it could rightfully balk. The Trailhawk deflects less road rash, thanks to off-road tires and an inch higher ride height; it's clearly labeled to avoid misconsumption. Before landing in the Trailhawk aerie, the Cherokee ambles through less adventurous territory, starting with the basic front-drive models. There are two traction systems between it and the Trailhawk, the first of which is Active Drive I, a light-duty setup with a wet-clutch design and variable torque distribution between the front and rear wheels. It's handled automatically by the sensors that also govern the Cherokee's throttle and transmission and stability control, and without a low range, makes it all-wheel drive. It's offered on the four-cylinder, but the added weight could tap the Cherokee's eagerness at higher altitudes; we didn't think its improved cornering responsiveness took too much away from the power on tap. Active Drive II gets a low range with a sky-high (low?) crawl ratio of 56:1 with the four-cylinder, which Jeep says is 90 percent better than that of the Liberty. All Cherokees with four-wheel drive have Selec-Terrain, which lets drivers choose the best mode from Sport, Snow, Sand/Mud, and Rock. Sport splits torque front-to-back at 40:60 ratio; Snow reverses that ratio and starts the Cherokee in second gear for less slip; the sand and rock modes allow a rear split of up to 100 percent, and are combined with off-road braking modes. The Cherokee's rear axle will declutch when not in use, which saves some fuel. Jeep's Trail-Rated badge applying to the Trailhawk, which gets a one-inch suspension lift, slimmer front and rear fascias, a locking rear differential, skid plates, and red tow hooks. It also gets Selec-Speed control, which lets Cherokee climb hills with the same tenacity as it lowers itself with hill-descent control, creeping up from 1 mph to 5 mph in increments selected with the shift lever. Approach and departure angles are good for off-road work, at 30 and 32 degrees--and with ground clearance of 8.7 inches, the Cherokee really has very few rivals in its highly developed off-road niche. We're not even sure we'd want to take a high-riding Subaru Forester down some of the trails we dusted in the Cherokee, or if we'd want to pull as much as the 4,500 pounds the Cherokee is rated to tow. It may be the only Swiss Army knife in the crossover-SUV drawer. A slightly off driving position doesn't hamstring the Cherokee's ample cabin; cargo space is on the shy side. The ads will call the 2014 Jeep Cherokee a mid-size crossover SUV--but in truth, it's not much bigger inside than some of the compact utes we know well, vehicles like the Honda CR-V and Subaru Forester. 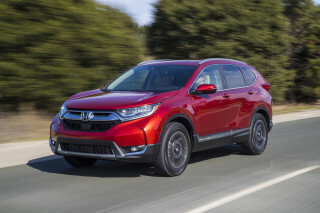 It is somewhat smaller outside than most mid-sizers, and lacks a third-row seat option like the new Nissan Rogue now offers--more support, we think, for comparing it to those vehicles instead of bigger utes like the Chevy Equinox. By the numbers, the new Cherokee sits about 182 inches long, with a wheelbase of about 106.3 inches (Trailhawk models have slightly longer wheelbases due to suspension changes). It has 41.1 inches of front-seat leg room, about 38 inches of head room front and back, and 40.3 inches of rear-seat leg room. 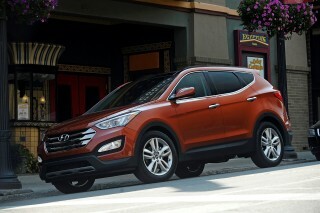 It's essentially closest to the Hyundai Santa Fe Sport, in all those ways. We like most versions of the Cherokee's front seats. It's just on the roomy side of compact, with bigger drivers making contact with the center console and the door panels, but not objectionably so. It can be tough for taller drivers to find an ideal driving position: the Cherokee's steering wheel tilt up a bit from its bottom, in what we'd call classic Fiat style, and the windshield doesn't rise very high. The seats are supportive enough in their Latitude trim, nicer with Nappa leather in Limited trim. All of the different seats have headrests that sit forward too much, though, which forces some drivers into a more laid-back driving position. That, in turn, can cut into what should be good rear-seat leg room. On paper the Cherokee has about the same rear-seat room as the Grand Cherokee, but subjectively, they're worlds apart. In the smaller ute, tall drivers leaning back puts the front seatback into the knees of tall rear-seat passengers, an automotive domino effect that can be mitigated by sliding the second-row seat back on its track a few inches. In either row the Cherokee has good head room; those second-row seats recline to give it better long-distance comfort. The Cherokee's high cargo floor lets four-wheel-drive components ride beneath it, but it trims down on total cargo space. The Cherokee's stow area is at most 58.9 cubic feet--with the front passenger seat folded down. The space behind the front seats totals 54.9 cubic feet; behind the rear seats, 24.6 cubic feet, or 29 cubic feet if the rear seat is folded and pushed forward. A Honda CR-V nets 37.2 cubic feet behind the rear seats, 61.4 cubes behind the front seats; a Santa Fe Sport gets 35.4 cubic feet and 71.5 cubic feet from a similar wheelbase. The Jeep does offer a cargo-management system with a hanging grocery bag. Elsewhere, small-item storage is good. There's a bin atop the center stack for a handful or two of stuff, and a glove box that can hold an iPad. The center console has a groove that props up smartphones. There's space inside the deep console for a CD player, too--and maybe other format zombies. We're suitably impressed with all of the Cherokee's quality measures, versus the more iffy Dart. 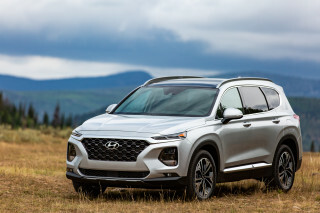 The interior's the equal of the Santa Fe Sport and Escape, with high-quality, low-gloss, soft-touch surfaces and smooth-acting buttons and switchgear. Interior noise levels are filtered out very well, too--it's the first Chrysler four-cylinder in a long time that didn't draw our groans for its groaning. The Cherokee has options like blind-spot monitors--and some kinship with the very safe Dart sedan. The National Highway Traffic Safety Administration (NHTSA) has rated the Cherokee at four stars overall, a score it earns in all but the side-impact tests--where it's given five stars. The Insurance Institute for Highway Safety (IIHS) calls it a Top Safety Pick, with good scores on all tests save for a small-overlap test not yet performed. All Cherokees come with ten airbags, including rear-seat side airbags and driver and front passenger knee airbags. Stability and traction control and tire-pressure monitors are also standard. Lower down on the obviously safe scale, Bluetooth is also standard, and the Cherokee has fairly good visibility for the driver. A rearview camera is standard only on the Limited model, an option on all other trim lines. 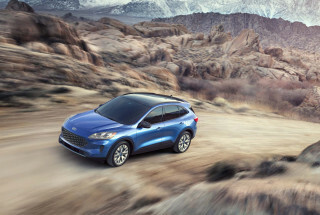 Deep into the high-tech safety realm are a wealth of features you'll find on the Ford Escape, but few other compact and mid-size crossovers. The Cherokee can be fitted with adaptive cruise control that can bring it to a full stop if an impending collision is detected; lane-departure and forward-collision warning systems are also an option, as are blind-spot monitors and parking sensors that can also trigger the vehicle to a full stop at low speeds, if obstacles are detected. All we'd ask for are some clever surround-view cameras, which would be a boon for off-road use. Finally, there's the Cherokee's flavor of hands-free parking. Here, as with the Range Rover Sport, the system can steer and nudge the car into a parallel or a conventional parking spot, with the driver serving as a final failsafe. It's the latest driving gadget that impresses most the first two or times you demonstrate it to friends. Beyond that...if you can't control the Cherokee easily on roads, how will you ever take it off-road--where wheel position is paramount? The Cherokee's UConnect suite connects smartphones in a snap--and its off-road gear reaches typical Jeep heights. The 2014 Jeep Cherokee goes after a broad swath of crossovers with four trim levels: Sport, Latitude, Limited and Trailhawk, the "Trail-Rated" model in the lineup. With the $23,990 Sport (all prices include $995 in destination charges), the Cherokee tackles some other basic tall wagons and hatchbacks. It's a four-cylinder model, with front-drive standard and with a simple Active Drive I all-wheel-drive system as an option. The Sport comes standard with LED running lights and rear taillamps; air conditioning; cruise control; 17-inch wheels with all-season tires; power windows, locks, and mirrors; cloth seats; keyless entry; an AM/FM radio; a USB port and an auxiliary jack; and Bluetooth with audio streaming. The audio and phone display is a 5.0-inch screen, with redundant information in a 3.5-inch screen located between the gauges. Options include satellite radio; a rearview camera; aluminum wheels; and a cold-weather package with heated seats, a heated steering wheel, and remote start. A CD player is an option, and it mounts in the console, out of sight and out of mind--part of the long goodbye to that format, we think. The $25,490 Jeep Cherokee Latitude takes that equipment and adds a fold-flat front passenger seat; LED ambient cabin lighting; a 115-volt power outlet; roof rails; and fog lamps. Options include the V-6 engine; Active Drive II all-wheel drive; a 506-watt Alpine audio system; a panoramic sunroof; cold-weather and towing packages; a convenience package with pushbutton start, satellite radio, tonneau cover, power driver seat, power tailgate, rearview camera, and remote start; and Uconnect with an 8.4-inch touchscreen and smartphone-app connectivity for Aha, iHeartRadio, Pandora, and Slacker. We continue to be impressed with the Uconnect suite of connectivity services, as much for its easily absorbed graphics and functions as for its quick responses. All the Latitude's standard gear carries over on the $28,990 Cherokee Limited, which also gets power front seats; leather upholstery; heated front seats; pushbutton start; 18-inch wheels and tires; a 7.0-inch reconfigurable information screen in the gauge cluster; the Uconnect touchscreen radio; satellite radio; a rearview camera; remote start; and dual-zone automatic climate control. Options include the V-6; Active Drive I or II; navigation (available after the original purchase as a dealer download); Alpine audio; the panoramic sunroof; a wireless charging pad that uses Qi recharging standards and hardware; comfort and towing packages; a luxury package with Nappa leather, ventilated front seats, memory seating, and remote start; and a technology package with lane-departure and forward-collision warnings, adaptive cruise control, parking sensors, blind-spot monitors, and Park Assist, which lets the Cherokee guide itself into parallel or perpendicular parking spots. Finally, the $30,990 Cherokee Trailhawk takes Latitude standard equipment and couples it with a Trail Rated badge--which comes with the ability to cross California's Rubicon Trail, Jeep's gold standard for off-road capability. 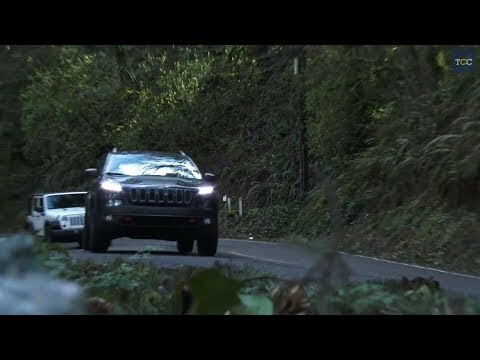 To do that, the Trailhawk gets a tougher suspension with more ground clearance; its own front and rear bumpers; red tow hooks; skid plates; transmission and oil coolers; the most advanced Active Drive system with a locking rear differential; Selec-Speed Control, which lets the Jeep climb up grades at a consistent speed; and 17-inch wheels and OWL all-terrain tires. Options include the V-6 engine; navigation; Alpine audio; the panoramic sunroof; an open-air sliding glass sunroof; and the cold-weather, technology, convenience, towing, and leather packages. Gas mileage hits a 31-mpg highway high, but most Jeep Cherokees will average in the low- to mid-20-mpg range. The most fuel-efficient Jeep Cherokee can get up to 31 miles per gallon on the highway--so agrees the EPA. Most versions earn everyday gas mileage in the low-20-mpg range, with the most rugged editions dipping below 20 miles per gallon on the city cycle. In spite of its standard nine-speed automatic transmission, the Cherokee doesn't fare so well against some other mid-size and compact crossovers--vehicles like the Hyundai Santa Fe Sport, Honda CR-V, Ford Escape and Edge, and Chevy Equinox. None of those crossovers has its adventurous talent, though. The beefed-up body structure and heavier running gear its Trail Rating demands accounts for at least some of that fuel-economy penalty. The base front-drive Cherokee has the best numbers, of course. It's rated at 22 miles per gallon city, 31 miles per gallon highway, and 25 mpg combined. In most cases those numbers would push the Cherokee to our next-highest green score--but since we believe most versions will come with at least some form of all-wheel drive and/or the optional six-cylinder engine, we're going by the bulk of its EPA-combined averages, all in the low-20s. Adding the basic all-wheel-drive system to the four-cylinder Cherokee drops gas mileage to 21/28 mpg, or 24 mpg combined; going with the more advanced Active Drive II setup lowers highway economy by one more mile per gallon, to 27 mpg, and combined numbers to 23 mpg. On six-cylinder Cherokees, fuel economy starts at 19/28 mpg or 22 mpg combined for front-drive models; Active Drive I all-wheel drive lowers highway economy to 27 mpg; and Active Drive II drops it one more notch, to 26 mpg highway. Nice Vehicle,, We as a family all enjoy our Jeep. We have the 4 cyl and we find it has plenty of power.. We read a review that recommended not to spend the extra money for the Six. Nicely appointed leather interior..One thing,, I find it has a little to much... We have the 4 cyl and we find it has plenty of power.. We read a review that recommended not to spend the extra money for the Six. Nicely appointed leather interior..One thing,, I find it has a little to much frontal overhang.. Snip about a foot or two off the front and the Jeep would look better. Best Vehicle on the planet! Looking for a different year of the Jeep Cherokee?